Published: Oct. 7, 2018 at 06:23 p.m. Published: Sept. 23, 2018 at 09:46 p.m. Published: Sept. 23, 2018 at 03:32 p.m.
Miami Dolphins wide receiver Jakeem Grant zips down the field an 18-yard touchdown. 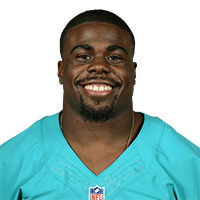 Miami Dolphins wide receiver Jakeem Grant sprints 101 yards down the field for an incredible touchdown.